You are going to start off in a 1.5 mount. Instead of mounting on your index finger on your non throwhand, you are going to mount onto your thumb. You are also going to mount over your thumb on your throwhand. 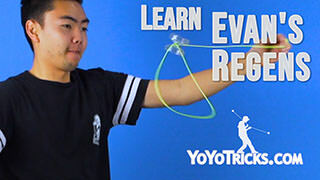 Using your index finger on your non throwhand, you are going to want to intercept the string coming from the back of your throwhand and you are going to want to pull the yoyo over and onto the front string. Next you are going to want to turn your throwhand up, so that your index finger and your thumb form a “V” formation. 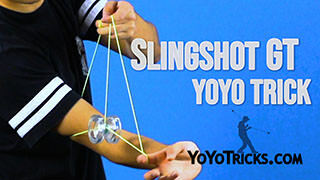 This is to keep the string on your thumb when you do the next element, which is to swing the yoyo around your throwhand, through the front and back strings, and on to the string connected to your yoyo finger. 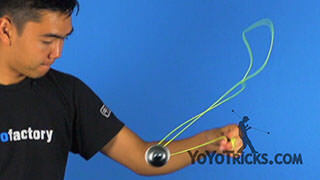 Next you are going to take your non throwhand thumb and you are going to underpass the back string under the yoyo. 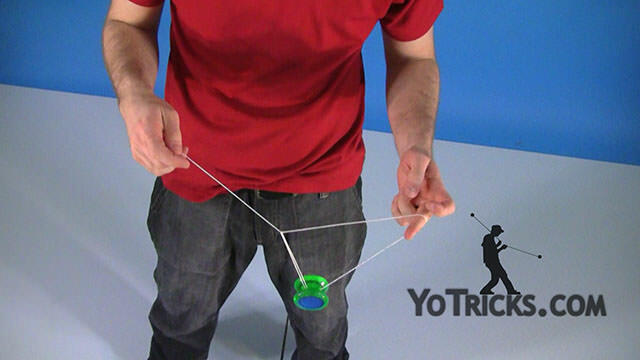 You want to do this as quickly as possible to prevent the yoyo from snagging. 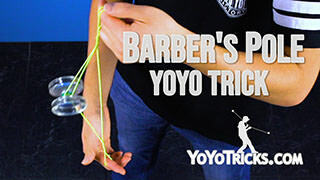 Then you are going to want to pop the yoyo up and then hit the top string and land on the front string. 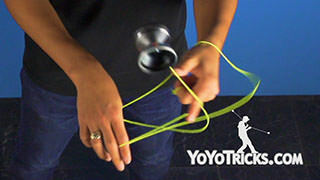 From here, you are going to pop the yoyo up onto the back string connected to your thumbs. 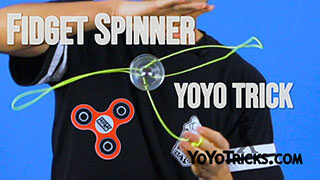 Then you are going to, at the same time, extend your yoyo finger and this will allow the yoyo to dismount off the string connected to your yoyo finger. Then you are going to let go of your non throwhand thumb. Then pinch with your index finger and your middle finger on your non throwhand. 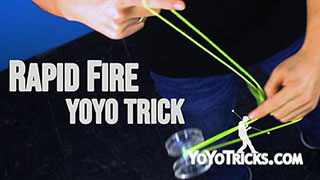 You are going to pull the yoyo out of the bucket connected to your yoyo finger and thumb on your throwhand, and behind the top string and onto the top string. This looks like a kamikaze mount, however it is not. 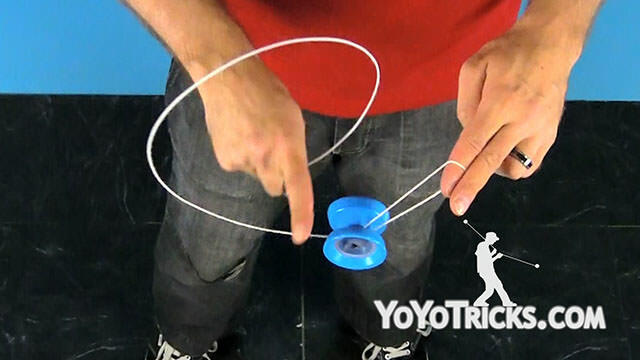 At this point, you are going to perform the Pinky Finger, Ring Finger Pinch on the string connected to your yoyo finger. From here, you are going to pop the yoyo up and at the same time, we are going to pluck the bottom string with your non throwhand thumb. Land back onto the front string. 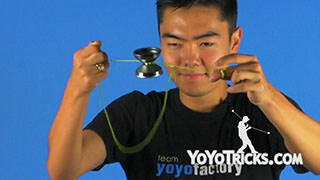 Then you are going to roll the yoyo over your throwhand and onto the top string. Then you are going to place your thumb in between these top two strings. This is where the upside down triangles are going to form in mid air. 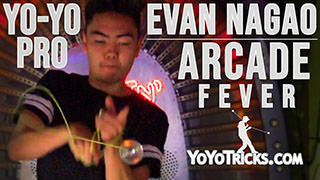 So to perform this, you are going to pop the yoyo up and hit the front string. 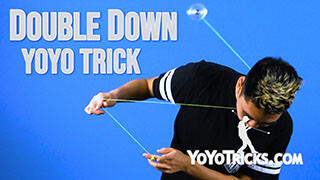 As you are doing this, you are going to drop that same string off your index finger on your throwhand. The motion will look like this. 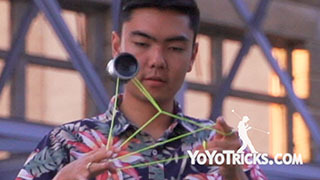 Once the triangle forms in mid air, you are going to have to dismount it off the inside of the triangle and land it on the back string connected to your throwhand. You might find that when you complete this element, that the triangle will not dismount, like this. To solve this, all you have to do is pull your hands apart. Pull the strings tight. That will allow the triangle to open up and you can dismount from the inside onto the back string. 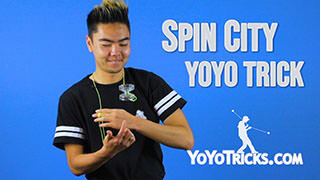 Now you are going to pop the yoyo up into the front string and as you are doing this, you are going to let go of your non throwhand index finger. This will create the second upside down triangle. Make sure when you are doing this that your throwhand thumb stays inside of the string. 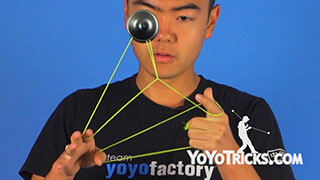 This will allow you to dismount off of the front of the triangle as the yoyo is coming back down. 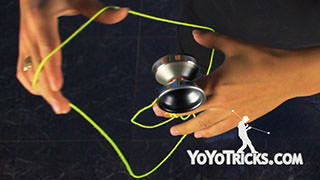 You want to land on the string connected to your yoyo finger again as the yoyo comes back down. 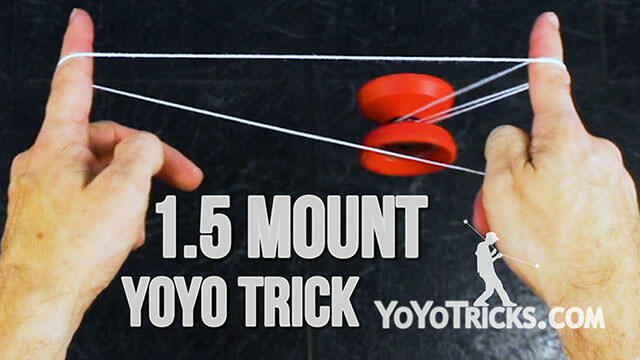 From here, you are going to pop the yoyo in front of the top string. 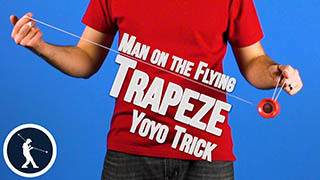 Then you are going to land on the string that you are holding with your index finger on your throwhand. That will create the third triangle. Then you are going to pop out the front of the triangle and let go of all of the strings you are holding with your throwhand. 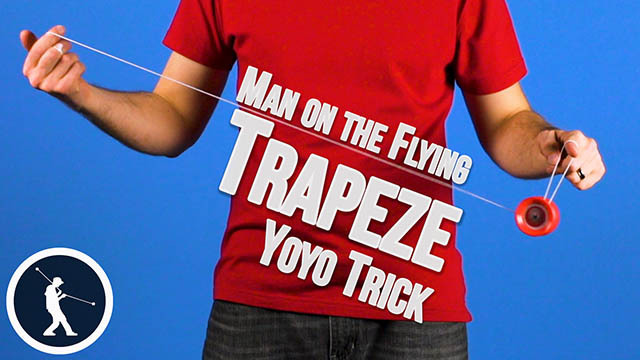 Land in a trapeze. Then you are going to land a Sky Bind, and that is Porygon. So to start the trick off, you are going to do a 1.5. Then you are going to do this. Then you are going to do that. And then this, and that, and this and that, and this and that, and that and this and that and this and that and that and then bind with style.